Nelly Andrushenko is a Real Estate Broker specializing in the north-east Queens real estate, known as an expert on Whitestone, New York, real estate market specifically. 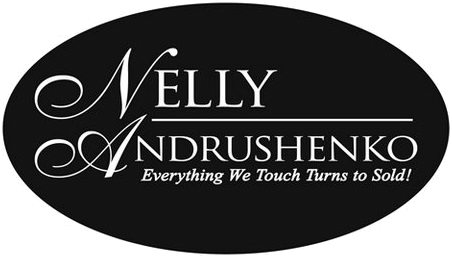 Nelly serves the surrounding areas as well, bringing with her 25+ years of experience. "She went above and beyond..."
We had the pleasure of working with Nelly on our first home purchase. What usually sounds like a strenuous and nerve-racking process, Nelly made it simple and seamless. Her knowledge of the area and expertise in the industry actually made our home buying process enjoyable. Every step of the way, she was transparent and always made time to address our questions, concerns and walked us through the process. She went above and beyond ensuring that we were happy as well as making the sellers. Without any hesitation, I highly recommend Nelly. Thank you, Nelly! "She always made herself available..."
Nelly was a pleasure to work with and a true professional. She always made herself available and was able to guide us through what can be a very confusing process. I'd highly recommend Nelly's services and will use her again for any future real estate transactions. Prior to listing our house with an agent, real estate agents were pretty low on our list of trustworthy professionals after our experience from 2006 when we first bought our house. From our experience with Nelly, that definitely changed. Nelly is very knowledgeable about the real estate market in general and in the Whitestone/Beechhurst area. She was honest from the start and told us the reality of things and not just what we wanted to hear. She was professional and personable throughout and demonstrated concern given that we were selling our house, buying another house and having a baby all at the same time. She was very quick to respond to emails and phone calls - she was always available and accessible. She was also able to schedule appointments with little inconvenience to us. I would definitely recommend Nelly if you are interested in buying or selling a home in Northern Queens. I am writing to express our sincere thanks and appreciation to you for making the sale of our home a good experience. It was a decision we needed time for, and you allowed us that time by being patient, helpful, and giving us your honest, professional opinion. Once the decision was finally made to put our house for sale, not only did you sell it within a week, but we got the full asking price. You always kept us up-to-date throughout the whole procedure and acted quickly when things needed to get done. We felt like you took a personal interest in our family. So, once again, thank you for making the sale of our home smooth and easy. Nelly was always available, extremely knowledgeable and an all-around professional. Nelly sold our home and found us the home of our dreams. I highly recommend Nelly! I have found my agent, Nelly Andrushenko, to be the most proactive and conscientious colleague possible in the home-selling process. At every step, she was professional, responsible, and most importantly, personally supportive and efficient. There is no fact of the real estate process Nelly is not familiar with and, thus, the perfect representative; I would recommend her to my friends, family, and all. Nelly is an extremely professional and knowledgeable Real Estate Broker. She sold our home within two weeks from the listing date. Nelly made the whole process very smooth, and we are very pleased with our experience with her. Many years ago when an agreement was reached by two people, a simple handshake sealed the deal. Unfortunately, today trust and honesty are abused especially in the real estate business. However, there are exceptions to the rule. And you, Nelly, are the exception. Our business relationship was sealed with a handshake well before any sales agreement was signed. You renewed our faith in trust. Your association and working relationship with builders enabled us, successfully, to interest a potential buyer in our property. Working with you was a pleasure and you always maintained a professional demeanor. You kept us informed as to the progress being made, leading us to the closing of our property. Thanks to you, we experienced a pleasant and stress-free real estate transaction. Thank you for everything. Nelly is an excellent RE professional who is not only knowledgeable but honest and does her best for her client. I would recommend her 100%.